I just wanted to let everyone know that we have a firm schedule of guest speakers for August for our newly formed mission of Hops and The Holy Spirit at Opie's in Plymouth. On Thursday, August 13th at 6:30 p.m., Fr. William Kummer will be traveling from Ft. Wayne to speak to us about Laudato Si, which is Pope Francis’s encyclical regarding environmental responsibility. On Thursday, August 23rd at 6:30 p.m. Fr. 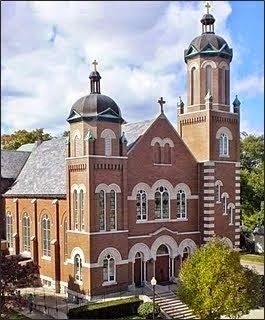 Kevin Baughman, pastor at Our Lady of Hungary in South Bend, will visit us for “Stump the Priest” night. Fr. Kevin will introduce a range of Catholic topics about which we can ask any (respectful) questions and see if we can stump him. By the way, good luck with that! Each of these evenings we intend to have our guest speakers introduce their topics for about 15-20 minutes then we will have the opportunity to ask them questions, sit around and drink beer and talk about God! This is a great opportunity for gaining knowledge about our faith, renewing Catholic fellowship, and did I mention drink beer? Hope to see you all at Opie’s! Just a reminder…..Catholics and non-Catholics are equally welcome! Please pass this on to anyone who you think will enjoy.